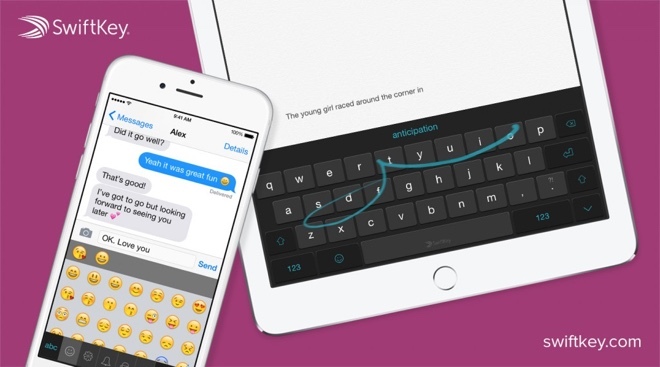 The popular third-party iOS keyboard SwiftKey received a major update. Version 1.2 of the application is currently available in the Apple App Store. The list of new features included in the update is rather extensive. One of the biggest highlights is the long-awaited access to more than 800 emoji via a dedicated button. Emoji suggestions have also arrived on board. Keyboard click sounds, support for 11 new languages, and SwiftKey Flow for the iPad version round up the list of new features. Naturally, some bug fixes and improvements have also taken place in version 1.2. Have you tried the new SwiftKey for iOS yet?